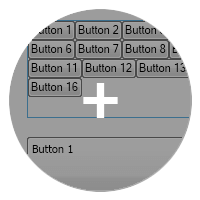 NOV for WinForms includes a complete set of UI Controls and Components for developing professional .NET Windows Forms applications. 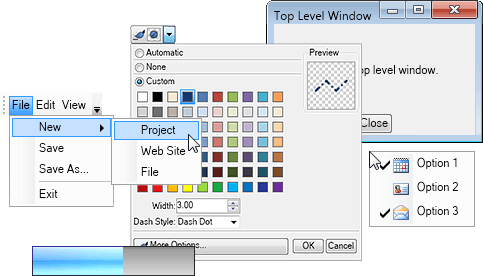 Nevron Open Vision (NOV) for WinForms includes a complete set of UI Controls & Components for developing professional .NET Windows Forms applications. The NOV Framework features an extensive GUI Toolkit and comes with WinForm Example Solution including hundreds of examples with source code. NOV for WinForms will not only help with your WinForm desktop application development, it will also allow you to start with your cross-platform .NET development and target multiple platforms and devices. That is correct - when you start developing with NOV, you will be able to build cross-platform applications and User Interfaces using single code base. 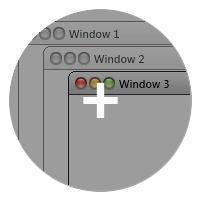 You will also be able to integrate NOV WinForms UI Controls to existing Windows Forms application. 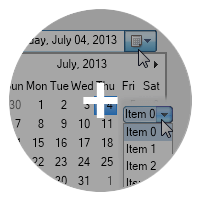 NOV for WinForms implements a complete and feature-rich set of Windows Forms User Interface Controls (widgets). 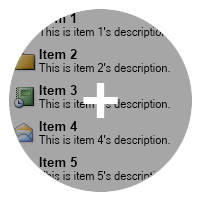 NOV WinForms Grid is a high performance Data Grid component for displaying and editing tabular data within your WinForms applications. 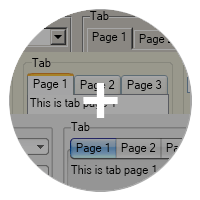 The NOV Grid for WinForms includes a TableGrid and a TreeGrid (ListTreeView) with many advanced features for editing, navigation, seamless databinding and more. NOV WinForms Rich Text Editor is by far the best text editor in the .NET world. It will provide you with more powerful features and even better performance than MS Word or any other word processing control. The Rich Text Editor Control is designed to provide developers with an easy-to-use, professional WYSIWYG content and document editing capabilities. 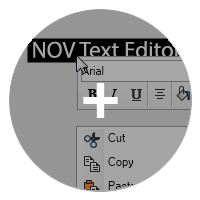 It provides an intuitive Word®-like editor which can replace any TextBox/TextEditor control and can be used as the foundation of any business application. NOV Diagram for WinForms is a fully managed, extensible and powerful diagramming framework, which can help you create feature rich diagramming solutions in WinForms. NOV Diagram for WinForms is the product behind Nevron Draw - a commercial alternative to Microsoft Visio. As you would expect from a commercial Microsoft Visio competitor, NOV Diagram for WinForms features most of the Microsoft Visio functionality and allows you to replicate the smart behavior of almost any Visio shape. NOV Chart allows for the visualization of business, scientific, financial and presentation charts. The Chart component includes complete set of 2D charting types and provides support for zooming, scrolling and other interactivity features. It is also optimized for high-performance charting. 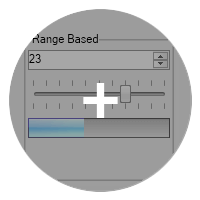 NOV Gauge control has extensive support for instrumentation widgets such as radial (circular) and linear gauges, knobs, indicators and numeric displays. Those Gauge controls can be very useful when you need to create user interfaces for dashboards, KPIs, dials, stopwatches, clocks, thermometers, LEDs and simple indicators. NOV Schedule allows for displaying and organizing appointments and recurring events. The Schedule component provides support for appointment categorization, different view modes, multiple time zones, multi level grouping, recurring appointments and more. NOV Barcode control allows developers to quickly and easily add barcodes to their WinForms .NET applications. The Barcode control is fully customizable and provides supports all industry-standard barcode formats. Now you can easily embed 1D and 2D Barcodes in your NOV based applications, rich text documents and reports.